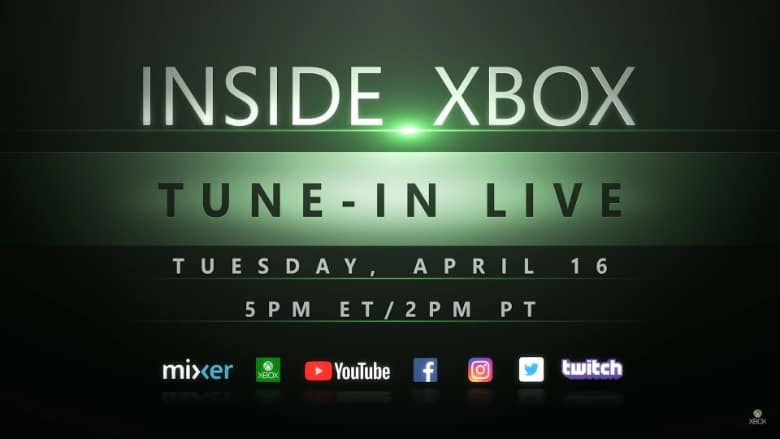 Inside Xbox Stream Coming Next Week | Nerd Much? A new Inside Xbox episode is coming our way next week, Microsoft has revealed. The coverage will begin streaming on Tuesday, April 16th at 5:00 p.m. Eastern, 2:00 p.m. Pacific. Expected topics include Xbox Game Pass, Sea of Thieves, a chat with The Coalition head, Rod Ferguson, and more. The latest Inside Xbox will run an hour long in total. The team will dive into the new Anniversary Update for Seas of Thieves, The Hunter’s Call. And also deliver “some exciting Xbox Game Pass news”. This could be something new for the program, or be a reiteration of the awesome games lined up for the service’s April slate. Microsoft also mentions that Rod Ferguson, studio head of The Coalition, will be on the show. The Coalition is the team behind Gears of War: Ultimate Edition and Gears of War 4. And they’re actively in development on Gears of War 5 and Gears: Tactics. Both of which are expected later this year. The above trailer teases that the Inside Xbox episode will touch upon the Gears Pro Circuit specifically though. So those getting hyped by Ferguson potentially showing off something from Gears 5 or Tactics should temper their expectations. The upcoming Inside Xbox stream will also play host to a gameplay reveal for Avalanche and Bethesda’s Rage 2. As well as provide an exclusive look at the Warhammer Chaosbane beta. There will also be updates on Backwards Compatibility, the 5th anniversary of Fanfest and Mixpot giveaways. There was a Mortal Kombat 11 tease too, as well as word of “several surprises we’re saving for the show itself.” The Xbox One S All-Digital edition, perhaps? We’ll find out for sure what Microsoft has up their sleeve when the next Inside Xbox begins streaming next week. You can catch the show on a variety of platforms, including Mixer, Twitch, YouTube, Facebook and Twitter. And for all of NerdMuch?’s dedicated Xbox coverage, you can find that right here.